Alert Covenant Church has many children's ministry opportunities for you and your child. While you, your spouse, and your older children are occupied with our women’s and youth ministries, allow your children to take part in our various Sunday activities. Sunday Bible school is a great way to introduce young children to the Christian faith. Our volunteers will teach them how to pray and what it means to be a good son, daughter, brother, sister, and friend. They’ll also get to interact and play with other children in our community. Our mission is to nurture in children a close, personal relationship with Jesus Christ. Thus, we hope to demonstrate how it is to be a Christian through classes, games, art projects, and other engaging methods that children respond to. Read more about our ministries for children below. Get in touch with us and join our children’s ministries in Leonardville. Whether you are a parent or an aspiring volunteer, we’ll be happy to welcome you. Sunday School: Beginning at 11:00 am each Sunday we offer classes by grade level for all our children. Each class has an excited teacher that is there to help instruct your child in their relationship with God. Nursery: Each Sunday, during both the service and Sunday school, we offer a volunteer-staffed nursery for infants and toddlers. Vacation Bible School: The first week in June each year marks our Vacation Bible School. 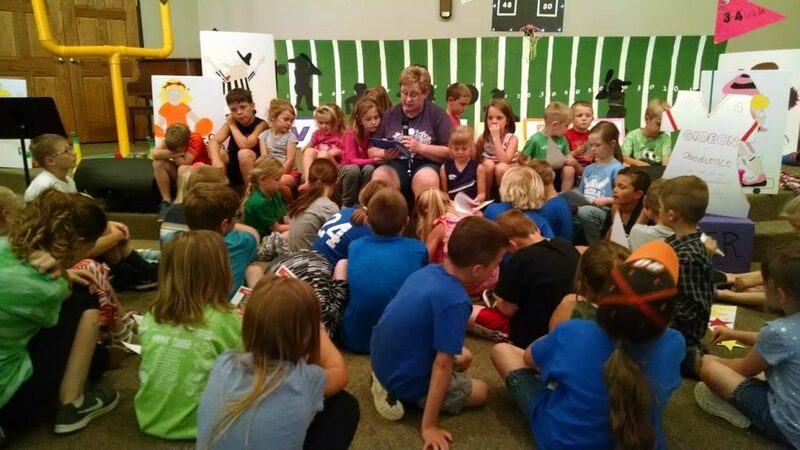 VBS offers wonderful music, games and, best of all, great biblical teaching! Children's Church: held each Sunday during the worship service for children ages three through kindergarten and once a month for 1st – 3rd grade. Volunteers engage children in lessons and meaningful play so that their parents may focus on the sermon.